Is there anything that gadget insurance doesn't cover? Gadget insurance is a great way to make sure your new shiny slice of metal and glass doesn't meet an early demise, leaving you out of pocket. 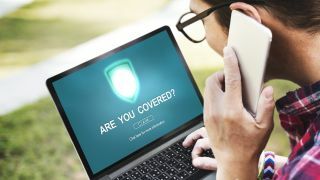 As smartphones, laptops and cameras increasingly take larger chunks out of our budgets, it's more and more important to make sure they're insured in case the worst should happen. But not all insurance is created equal, so you need to know if there is anything that your potential gadget insurance doesn't cover. Here's what you should know so that you get the right gadget insurance for your device meaning you're definitely covered for every situation. What does gadget insurance normally cover? Generally you can rest easy knowing that gadget insurance will cover the obvious stuff like theft, loss, mechanical breakdown, accidental damage and liquid damage. That will normally include worldwide cover. That should mean that whatever you do to your phone and wherever you do it in the world, you're covered. So if your phone is stolen it can be replaced, if it's lost you can get another, if it breaks it will be fixed or replaced and if you accidentally drop it, crack a screen or worse, you can get it mended or replaced so it's as good as new. All thanks to your mobile phone insurance cover. Even if you drop the phone in the toilet, or worse, you'll get a new one to overcome that water damage. What's not covered by gadget insurance? One of the most frustrating ways you can lose out is to damage your phone before your insurance policy kicks in. That's why it's always a good idea to sort out insurance so the start date is the same as the day you get your new phone, laptop, camera, whatever – just to be safe. Type of damage can also be a way out for insurance companies. For example if you've not taken care of your device, say by leaving it in a road or by the kitchen hob. Equally, if the breakdown is covered by the manufacturer's warranty then the insurance company may send you back to them to deal with the issue. Another problem can occur where you have a multi gadget policy but this damaged item isn't listed. Easy fix, make sure everything is registered on the policy before you head out the door. Refurbished or not new gadgets can cause problems. While many won't even offer insurance, if you do get it, make sure your second-hand device is covered based on the type of refurb you have, to be safe. Smaller problems like screen scratches or frame dents might not warrant cover, which is way a case is always a good idea if you like to keep your gadget looking as good as new. Finally, you'll likely have an excess to pay in the event of a claim. Make sure this isn't too high so that's it's actually worth making the claim should that day ever come.